3602 Points, 781 QSO's, 495 CW contacts, 286 Phone contacts. 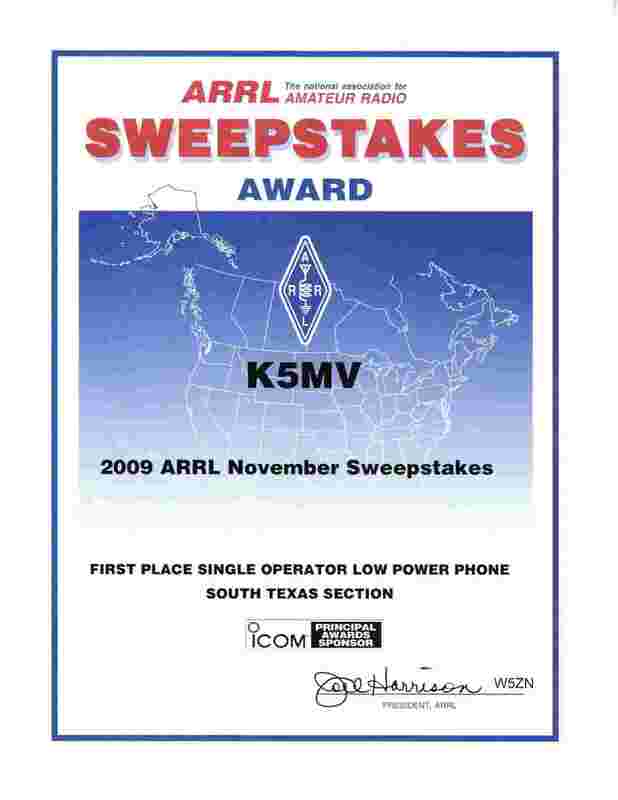 Jeff K5MV was awarded first place in the 2009 November Sweepstakes for South Texas, Congratulations Jeff!!! !